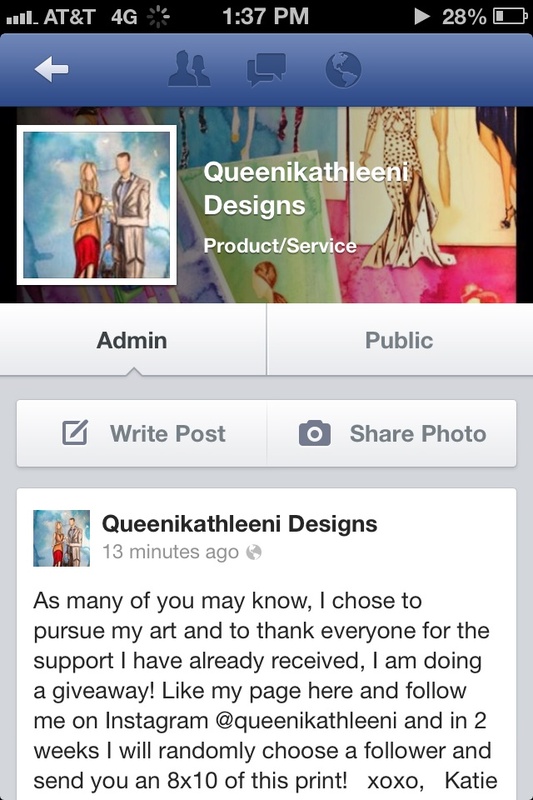 I am giving away an 8x10 of the first gal in my collection to spread the word about Queenikathleeni Designs and to show some appreciation for all of the support I have already received. All you have to do is be a follower of my Instagram @queenikathleeni and like my page on Facebook facebook.com/QueeniKathleeniDesigns. In two weeks I will pick a winner! !